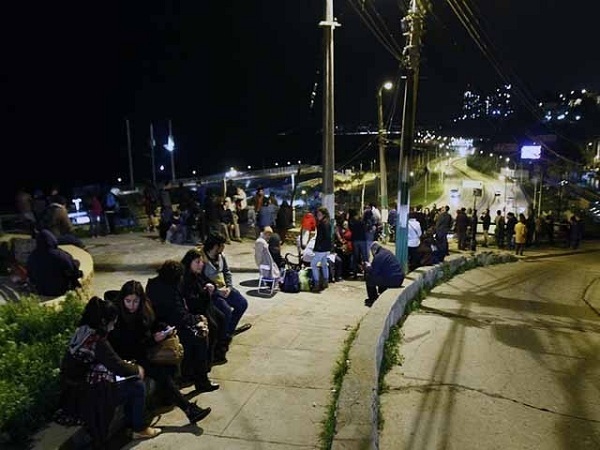 San taiga: (September 17, 2015) In Chile 8.3 rector scale earthquake killed five persons and 10 injured. Government has given tsunami warning in the area. According to the Earthquake control department of Chili the origin of earthquake was 232Km away from the Italy Capital San taiga. While the earthquake was so severe that its shocks was felled in Peru and Buns Iris as well. A 21 feet high water wave was observed in the Itlantic Ocean due to earthquake and biggest buildings in the Chili fell down due to this. Electricity system is damaged in the Alpaca City while low level flood is also observed in the area. All hospitals are highly alerted for controlling any unsure condition.